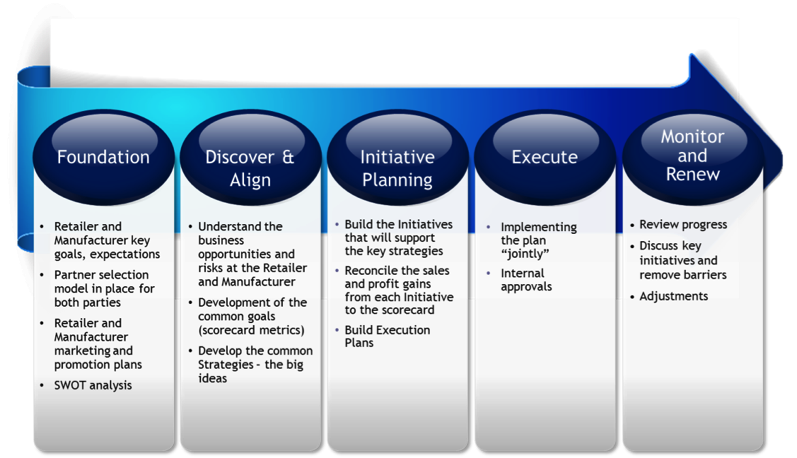 Joint Business Planning is mission critical for today’s consumer products retailers and suppliers. The consumer products and retailing industry is very competitive and companies are seeking advantage. Companies with a well-defined JBP process are able to formulate win-win plans and execute more effectively and efficiently by focusing their resources to areas of highest returns.